Christmas is in the air, and holiday cheer is everywhere in Los Angeles. I’m counting down the days till Christmas, and couldn’t help but put together an outfit that reflected the festive atmosphere around me. 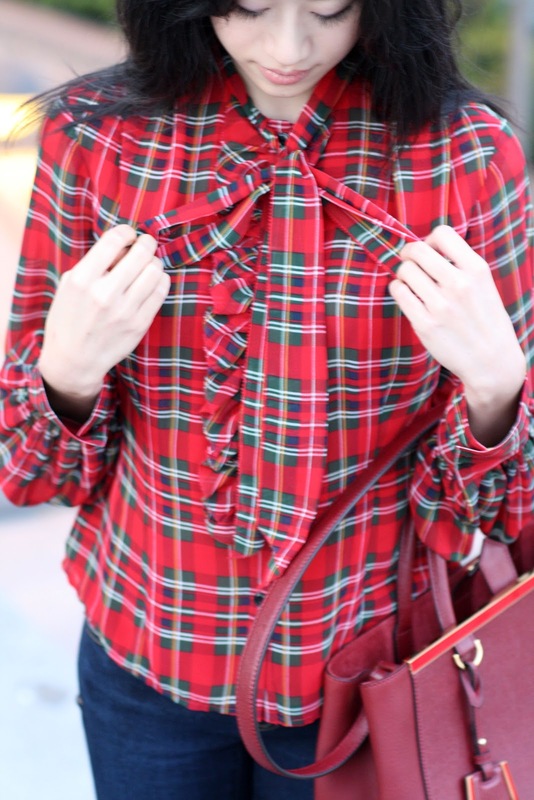 I paired a chiffon red and green plaid blouse with my favorite pair of dark skinny jeans. Though I prefer to wear darker colors during the winter, I still like to keep things light and feminine. The blouse, a refreshing take on typical heavy plaid shirts, was the highlight of my ensemble. I completed the look and accessorized with a sleek, structured maroon handbag personalized with my initials. Christmas trees, shiny lights, and trains against sunset are a few things that make me happy. beautiful. 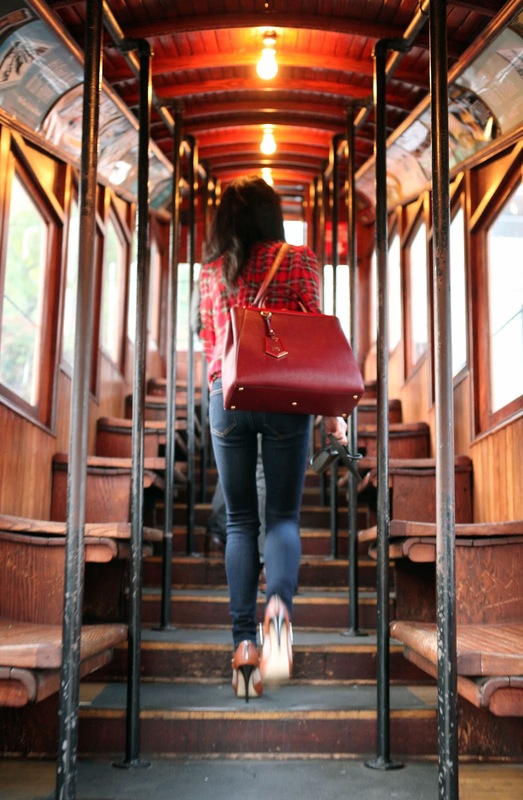 just bought the mini 2jour in black for carefree crossbody or shoulder bag!